A showing of matters of record that affect the status of title to a particular piece of real estate. An attorney often then offers an opinion as to the marketability of the title upon reviewing the abstract. The most common purpose for abstracts currently is for oil, gas, or other mineral exploration and production. Similar to an abstract, a certificate is a showing of matters pertinent to real estate. However, a certificate may be limited to a specific period of time or to a specific ownership interest. The closing is the consummation of a real estate transaction when all requirements are met and the deal is finalized. This is often the event when final documents are signed and money is exchanged. The closing often takes place at the office of the title company, lender, or real estate agent. A policy of insurance for the new property owner and/or lender. Title insurance provides protection for the insured owner and/or lender against any defects or “clouds” on title to a piece of real estate, such as delinquent taxes, prior mortgages, legal judgments, forgery or fraud. 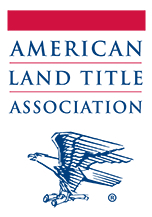 Title insurance is a one-time premium.